South London communities and groups are coming together to oppose police brutality and legal violence. Our aim is to support victims of police assault and to link them in a London-wide campaign. We will be monitoring police harassment of our communities and people of colour in particular. We came together around the case of Jason [surname removed], a young black man who was brutalised by Walworth Police on his home streets of Camberwell. On 9 June 2013 he was assaulted in a phone box after he questioned a police request to stop & search him. He was punched and elbowed to the ground, head-locked, pepper-sprayed, kicked and repeatedly kneed in the groin. Since nothing was found on him that could justify the attack, Jason was then charged with ‘obstructing the police’. The family called a meeting to organise a collective response. Supporters accompanied Jason to demonstrate outside Walworth Police Station, and to his hearings at Camberwell Magistrates Court carrying banners with ‘Police – Law Breakers’ and chanting ‘Touch one – touch all!’. The charges against Jason were eventually dropped – and the campaign continued to fight for justice by following up with a civil claim against the police officers who beat him. Since then, LCAPSV has supported numerous other people who have been beaten, abused, subjected to harassment and unlawful imprisonment. 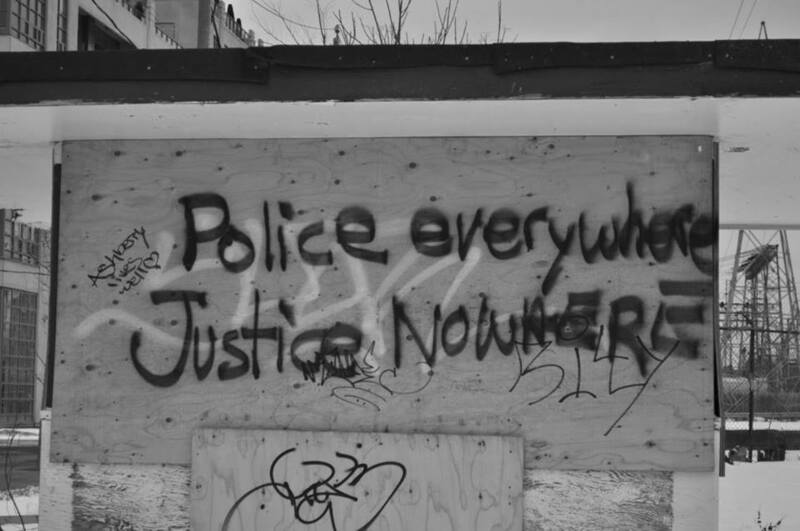 We offer help, support and solidarity to victims of police and state abuses of power, and can offer information to aid complaints and to get justice. In June 2014 we began running Stop and Search Know Your Rights workshops, which have been extremely well received in the community. If you would like us to deliver a Stop and Search workshop, then please get in touch using our contact form. London Campaign Against Police & State Violence is bringing together families, communities and campaigners. We call on all victims and witnesses of police brutality to contact us at lcapsv (a) gmail.com and join us in a collective stand against police and state violence.